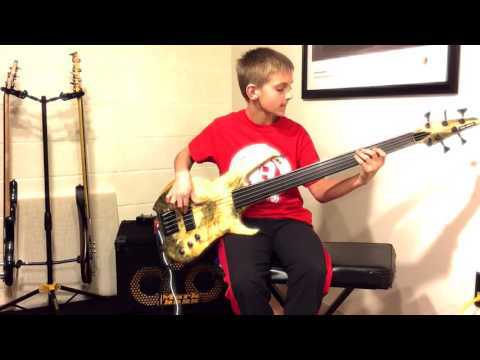 A very talented young bass player. 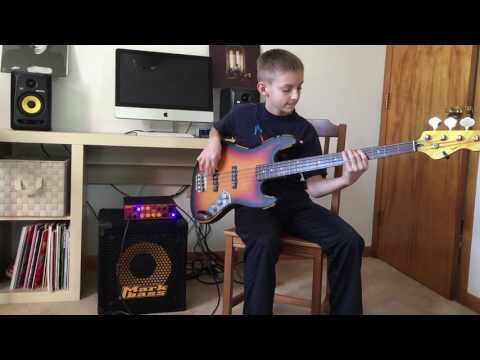 "One night I was checking my social media pages before going to sleep and I found out this little boy playing bass…and I said….WOW!!! That immediately brought me back to when I was a kid playing saxophone and dreaming about a new one…I still remember how happy I was we I finally had the possibility to buy it! It was with me all the time, even in bed! For this reason, watching this pure enthusiasm and passion, I decided to sent to Gabriel one of my amps and cabs to give him the same excitement I lived when I got my new saxophone! I think we must support music passion, especially when we see dedication and enthusiasm in young kids who will represent our next musical generation. Playing an instrument, playing music, makes us better persons, it develops our sensibility and communication skills, so I really hope my little gift will make this boy a future big musician. I really hope to see his picture between my top endorsers ones…"
New Music Release from Award-Winning Bass Phenom Gabriel Severn. Jan. 31, 2019, 12:19 p.m.
14 year old Bassist Gabriel Severn releases Award-Winning debut Music recorded with World Class Musicians. Nov. 12, 2018, 4:48 p.m.
Marco De Virgiliis and Markbass always support young talented players around the world! 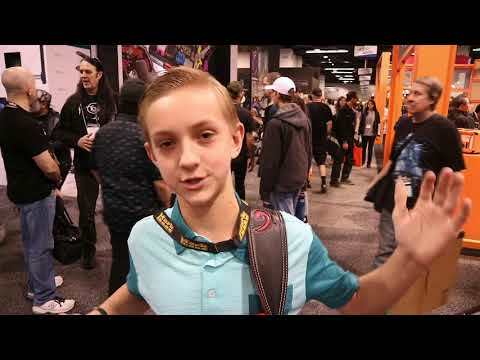 NAMM 2018: Gabriel Severn interview. Gabriel Severn on fretless bass. Mark World Rising Stars - Gabriel Severn.